The Latest Bollywood Movie Daas Dev New Song Azaad Kar Lyrics song is sung by Swanand Kirkire, while song lyrics writer is Gaurav Solanki. khol de Na Mujhe Azaad Kar Song Music composer is Anupama Raag and song director is Sudhir Mishra. 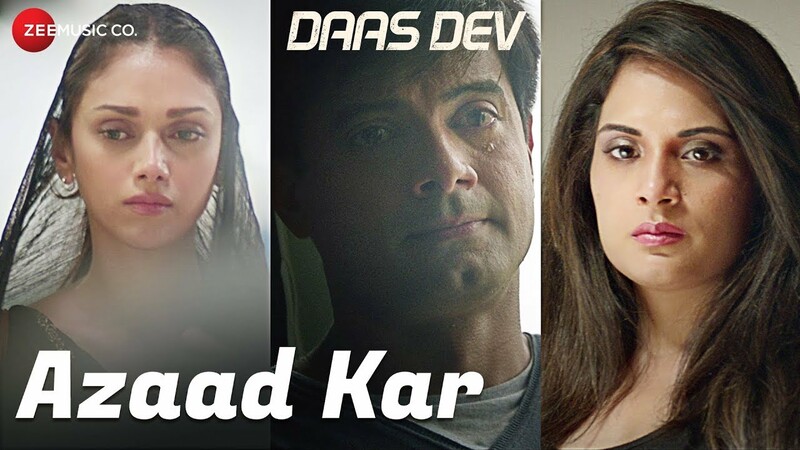 Daas Dev movie star casts are Rahul Bhatt, Aditi Rao Hydari & Richa Chadha and song music presented by Zee Music Company Music Label. For More Latest Hindi Movie Song Lyrics And Also Azaad Kar Song Lyrics By Swanand Kirkire From Daas Dev at Lyrics Novel.